Lafert Electric Motors are premium quality, European engineered industrial frame motors. 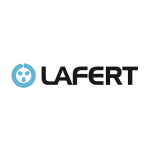 As a distributor for Lafert, we know that for applications which require that extra reliability and precision engineered product, you cannot look past a Lafert Electric Motor. Markair holds a large amount of stock in our Sydney branch as the exclusive distributor for Lafert Electric Motors in Greater Sydney and regional New South Wales.